This is licensed for non-commercial use only. A hawk bird figure. Contains poses. 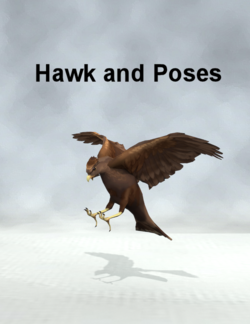 This is a rigged version of Matt Ostrom's 3D Hawk Model OBJ, which is licensed for Limited use with credits. This page was last edited on 3 September 2018, at 16:46.